My 2 boys had very different character when it comes to work. I have K who is unmotivated but completes his work just because he has to. I have Y who is quite competitive and wants to do well for his exams. He comes home with things he doesn't understand from school and bug me to go through certain work with him. This scenario is totally different from what I had envisioned 2 years back. K was a diligent boy who has a hunger for learning. Y was the lazy boy who swims on the floor, doing everything he can just not sitting down to do more serious work aka worksheets. We seldom do worksheets during their preschool days but when we do, it was a struggle with Y. I thought to myself then that this boy is going to have problem in primary school and I was so wrong. The first term of Primary 1 went well with both boys enjoying school and they were very enthusiastic to learn. They did pretty well. But I noticed a change in K's attitude in Term 2. And completing his school work started to be a chore and any revision ended up in a fight with me. It had been about 6 months and his attitude didn't quite got back to how he was before. I wonder to myself what is causing this lack of motivation and the will to succeed. 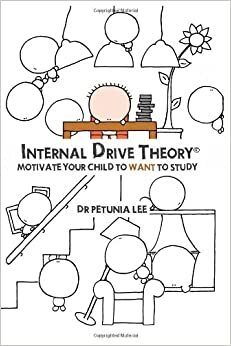 Then I saw this book in the library few days back, Internal Drive Theory - Motivate Your Child To Want To Study. I finds this book to be quite in line with my way of parenting, in a local setting. The first chapter begins with the author trying to convince readers that internal drive for school work can be developed. I totally agree. It went on to give examples of how she managed to drive the kids while their parent can't. However, I believe that the parents are not wrong to say that their kids generally behave better with another person other than themselves. K has been a well behaved boy in teacher's eyes. Or at least, that's the comments I got from his teachers. However, he behaves differently with me. I have no problems with other children. Other than attributing the problem to the adult caring for the child, we should also look at the relationship between the person and the child. There is a reason why so many teachers pay other teachers to teach their child when they are so good with other children. This book provided some insights and reminder as to how I should coach my boys with their work. Attitude and Patience on the parent part. I have to admit that I'm not very patient to my own kids. I guess it has to do with the relationship and expectations. I'm working on this one, especially with my younger boy. His character and mine clashed a bit and he is an expert at pushing my buttons. Choose their work carefully and make sure they know the topic before attempting. I made the mistake sometimes to just give them an assessment book and say, "3 pages" or "1 exercise" without looking into the work and see the suitability and if they know what to do. I expected them to know and to figure it out on their own if it's new. A little challenge will do fine but some kids may be turned off by something totally new and it will be an attack to their confidence level. I usually have different reactions, 1 will gladly take the challenge and the other will be fearful of making mistakes by attempting something new to him. With 2 kids, I sometimes assign work to one and he is expected to complete them without coming to me while I coach the other kid. It often ended up with scoldings as they couldn't complete them without coming to me like 1 million 10 times in a span of 30 mins. I ended up getting frustrated with them and nothing is accomplished and that made me felt worse. I should have assigned feedback time and expect some interruptions from time to time as I helped him through completing longer periods of independently work. 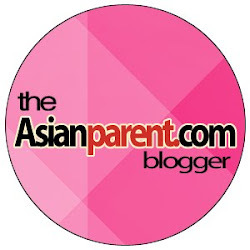 Overall, this is a good read for parents with children in primary school.